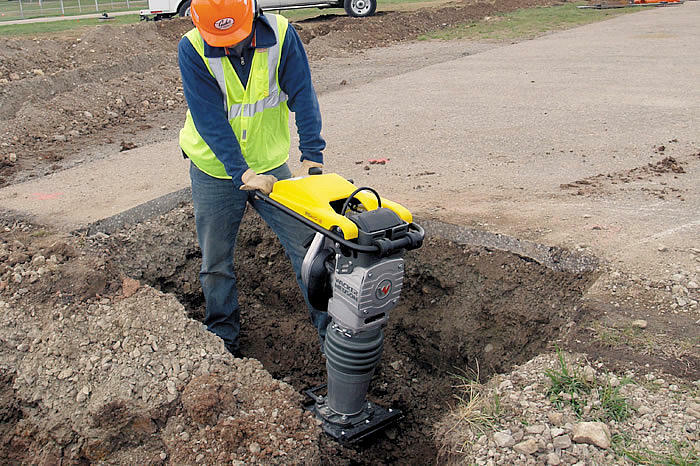 The outstanding features of Wacker Neuson’s four-cycle rammers are the compact design and high performance. The long shoe stroke, high percussion rate and high stroke energy combined with fast advance travel achieve excellent results. 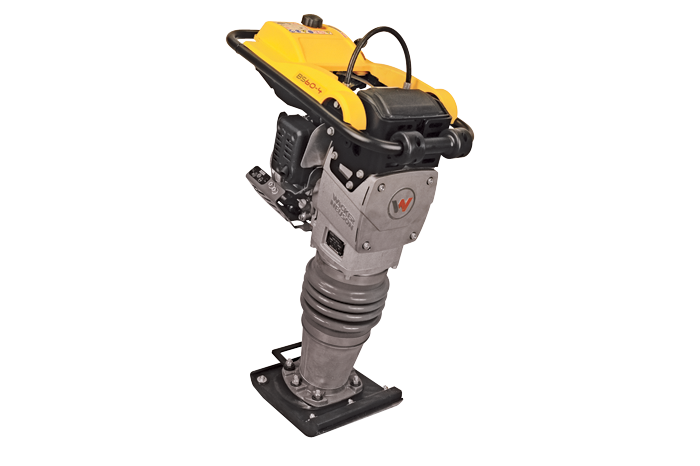 Low oil protection: Wacker Neuson: An LED indicator lights up if the rammer is started with insufficient oil levels, and the engine shuts down automatically after 10 seconds to prevent engine damage. Honda: When starting the unit, a sensor detects no oil or low oil and does not allow the engine to start. 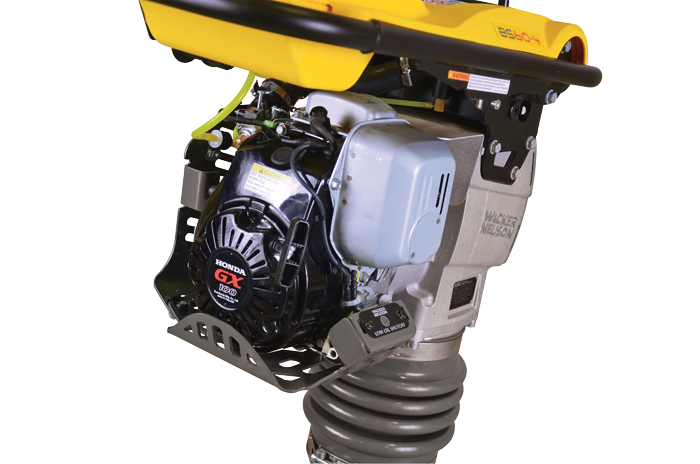 A unique four-stage air filtration system provides a virtually dust-free engine for longer life and improved durability. The system includes a last chance filter that protects the engine during air filter maintenance. Simple operation: The integrated fuel valve in the throttle means that there is only one lever for acceleration and shut-off.